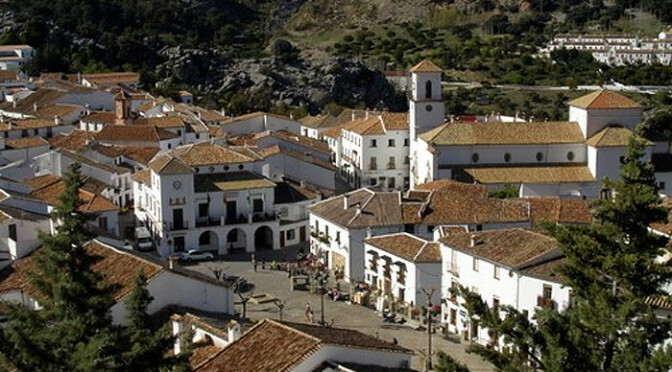 Almost every visitor to the Serrania de Ronda will hear about the beauty of Grazalema in the Cadiz province, technically the village is located within the western reaches of the Sierra de Cadiz that also includes the villages of El Bosque, Zahara de la Frontera, Algodonales, and Olvera, and is the north-eastern tip of Cadiz province. Grazalema is one of the famous white villages of Andalucia, considered by many to be amongst the most beautiful, and given that it is broadly in the centre of its namesake, the Grazalema Natural Park which is equally as famous, it is hardly any wonder the village has such a reputation. Around 2,000 people still call the village home, with a few hundred of these being counted in the hamlet of Benamahoma, though at varying times in the past the village population has been both bigger and smaller. The origins of the village are not completely known yet from Roman ruins in the vicinity we can be reasonably certain that at the very least a Roman settlement centred around the villa Lacidulia must have existed. During the Roman era the legions of Scipio are thought to have built dwellings on the hills of Clavijo beside the villa, which is presumed to have been home to one of the generals in Scipio’s legion. However the name of the village can be certainly dated to the Islamic period, known first by the Arabic name Raisa lani suli, then Ben-salama meaning the son of Salama, and at the time of the Christian reconquest in 1485 by the Duke of Arcos the name had changed to Zagrazalema, which quickly become Grazalema as the existing population converted to Christianity and the Castillian language. 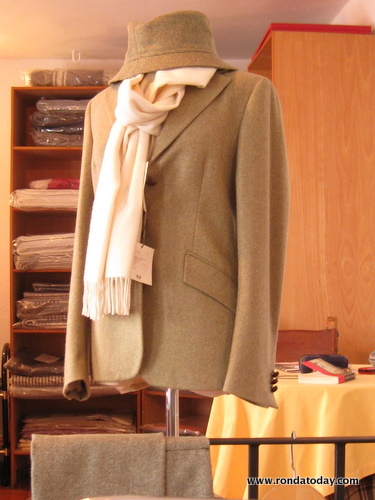 Aside from the gorgeous natural park surrounding the village, Grazalema is mostly known for its textile industry which in the 17th century employed several thousand people making wool blankets and ponchos, a tradition that continues to this day albeit with significantly less artisans. At its height the industry was considered one of the most important in Spain with Spain’s king Philip V awarding special privileges to the workers within the industry, many of whom worked from home using loans provided by the mills. The industrial revolution of the 19th century decimated Grazalema and put thousands of workers out of a job as large factories in the north of Spain began to produce blankets quicker and more cheaply than hand woven blankets could be made. Within the village it is still possible to purchase locally made Grazalema wool blankets, scarves, and other items of clothing that are made locally, and surprisingly Grazalema handmade woollen items are not overly priced, thus making an excellent gift to take home for visitors. Local cheeses made from goats milk are regaining their popularity as more and more visitors discover the village and start to demand organic and hand-made cottage industry products in place of mass produced cheeses. The cheeses from Grazalema, the most popular being Payoyo made at Grazalema’s Hotel Payoyo are full flavoured cheeses owing to the richness of the milk produced by local goats, however anyone who sees the grassy hills of Grazalema might understand why, this is one of the wettest areas of Spain and typically averages around 2000mm of rain per year. The rainfall benefits other industries in Grazalema, notably honey collectors and the tourism industry which has sprung up since the declaration of the UNESCO Biosphere, the Grazalema Natural Park. Of particular importance is the surrounding parkland filled with pristine mountains and walking tracks, endemic species of wild flowers, and an area noted for the huge variety of birdlife that makes Grazalema its home or passes through on annual migrations to Africa.